Knightsbridge Capital was launched in 2007 with a commitment to providing financing support to businesses at all stages of their life cycle, regardless of their perceived risk profile. Knightsbridge has served hundreds of clients secure more than $300 million in financing through its many financing alternatives, including its own managed debt funds. In 2013, through a joint venture with Maynards Industries, Knightsbridge expanded its lending program to truly serve its idealistic goals of building a one-stop lending institution with the launch of MaynBridge Capital. KapX Equipment Finance was launched in December 2016 as a dedicated equipment financing lender with transactions ranging from $100K to $5 million. This business serves the traditional financing market, specializing in capital-intensive industries, providing aggressive financing structures tailored around the underlying equipment and the clients’ cash flow needs. Since inception, Knightsbridge has aligned to its goal of maintaining strong long-term partnerships in both its borrowing clients and to partners seeking long-term advisory services. With expertise in marketing, business development, hyper growth, distressed and restructuring environments, we offer a unique perspective and stability to partners in all stages of their life cycle. Knightsbridge is a strategic partner with a particular expertise in balance sheet construction, cash flows and overall business support. Dean is the founder of Knightsbridge Capital Group and has extensive experience as an entrepreneur, business development and in commercial finance. He spent several years at GE Capital in various capacities in both risk management and business management. Dean founded Knightsbridge Capital in 2007, actively participating in a lending, equity and advising capacity since that time. He holds a degree in Finance and Marketing from the University of Saskatchewan and is currently serving on the Board of Directors for numerous companies including Caffe Artigiano and Havlik Machinery, plus volunteer organizations such as the Turnaround Management Association – Northwest Chapter, and serving as President for Highlands Little League Baseball in Vancouver. Stephen is an experienced risk management leader with a deep background in direct lending, insurance, credit adjudication and portfolio management. During Stephen’s 21 year career with Export Development Canada (EDC) he held numerous positions throughout the organization, primarily in underwriting and risk management, and he led several high profile corporate projects – most notably establishing a $1.0 billion debtor-in-possession (DIP) fund and developing a $5.4 billion receivables factoring program in connection with the Canada/U.S. Softwood Lumber Agreement. Prior to joining Knightsbridge Capital Group, Stephen was managing EDC's Loan Sales and Syndications Desk and Special Risks Team where he was responsible for overseeing the execution of all risk management strategies on EDC’s $55 billion commercial loan portfolio (e.g. loan sales, credit insurance and CDS), the restructuring of distressed credits in EDC’s $1.2 billion impaired loan portfolio and all treaty and facultative reinsurance on EDC’s insurance portfolios. Stephen has a Finance degree with a major in Economics from Bishop’s University and he holds IFC and CSC accreditations from the Canadian Securities Institute. 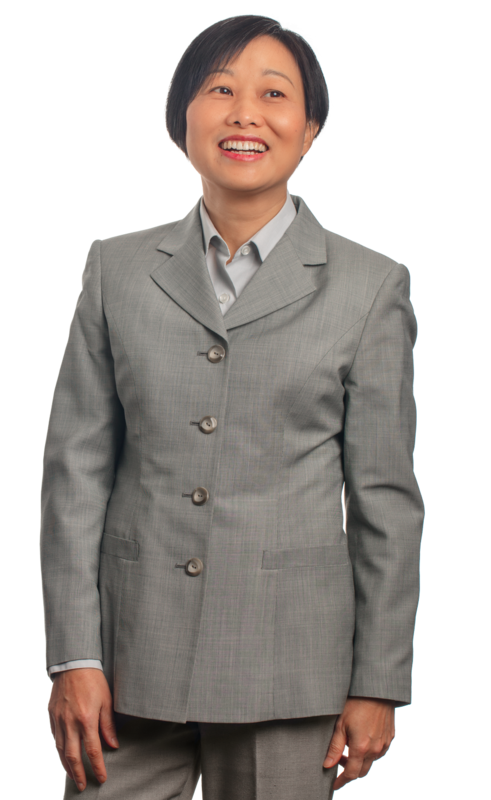 Louise is a corporate lawyer specializing in banking, real estate and general commercial law. Having practised as an associate with a top-tier national firm in Calgary and Vancouver, she has extensive experience advising both financial institutions and corporate borrowers on high-level transactions, including asset-based lending, project financing, syndicated bank transactions, cross-border and acquisition financing. Having worked on a variety of deals involving industries such as energy and resources, real property, equipment, mining and marine, Louise brings a wealth of experience to her role. Louise also previously acted as legal advisor for western Canada in the equipment financing division at a major financial institution and specialized in advising on all legal aspects of equipment loan, lease and mortgage transactions. Louise is responsible for internal corporate legal matters and provides advice on compliance, structuring and documentation issues for our deal portfolios. Louise is a member of the British Columbia Law Society, the Canadian Bar Association and the Canadian Corporate Counsel Association.